One of the major feature of the recently released Windows 10 IoT Core for Rapsberry Pi was USB Audio support. This features open the Speech Recognition on Raspberry Pi. Previously it was working only for MinnowBoard MAX. Here is s project I worked last weekend using this feature. Two Leds are connected to GPIO Pins 5 and 6 respectively. The Relay control is connected to GPIO Pin 13. The light is connected to the Relay control. The project is simple Proof of Concept Home Automation device. 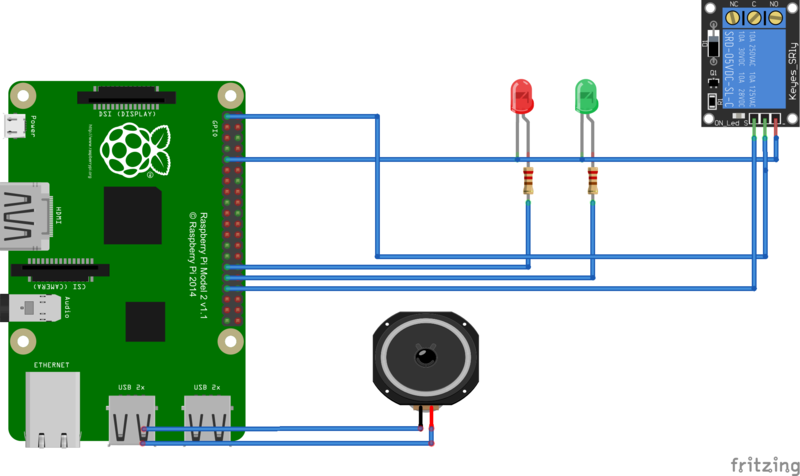 Using this application uses voice recognition to turn on/off different devices attached to the RPi. For this POC I have attached two LEDs (one Red and another Green) and one electrical light using a single channel relay control. You can control these devices using voice. If you say "Turn on red led" then it will turn on the RED led attached to GPIO pin 5, "Turn on green led" will turn on green led attached to GPIO pin 6 and "Turn on bedroom light" will turn on electrical light attached to GPIO pin 13. This is only a Proof of Concept application but you can attach any devices to RPi and modify the application to control the devices. When the speech recognizer recognize words based on the grammar file provided, it calls the result generated event handler. Inside this event handler we check tags generated based on the recognized words. Tags will be generated as per the SRGS Grammar file we supplied. you can see in the grammar file we have specified some <tag> XML elements. These tags will be present on the recognition result. We can check the presence of these tags and determine what action to be performed, in this application write to particular GPIOs.